Until recently, it was relatively common to find pet owners that de-clawed their cat. After all, having a cat that claws your furniture, or can be a little grumpy from time-to-time is pretty inconvenient. Thankfully, it’s now a widely-recognized fact that de-clawing a cat is a cruel exercise that causes more harm than good. Yes, it’s annoying when your cat tears holes in your curtains, couches and tights. Yes, it’s frustrating when they ignore a perfectly good cat tree. Yet we also understand that this is part of their nature- and, for cats, it feels really good to have a good pull. Like cracking your back when you’ve been feeling uncomfortable all day, for us humans. 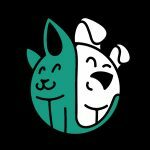 Thankfully, there’s a great way to meet your pet in the middle- nail caps for cats. These little pieces of plastic allow your cat to withdraw their claws without any pain, but also act as a form of acrylic nails, ensuring a dulling of their slice-and-dice ability. By simply clicking these cat claw covers onto your pet, you can eliminate the risk of damage to your soft furnishing, as well as delighting in other benefits such as the decreased likelihood of receiving a lovely “gift” from your feline friend. Of course, for those new to cat claw caps, it be disconcerting trying to choose one brand or design over another. This is where this delightful article comes in. We’ll help you choose between the best nail caps for cats out there, including their benefits and what you should really be looking out for, when choosing your cat’s fancy new claw covers. With over 3,000 happy customers and countless 5-star reviews, it’s no wonder that Soft Claw Feline Nail Caps are top of the list. With many sales coming from repeat customers, you can be sure that these claw covers leave both owner and kitty very happy with their ease of application, strong ability to stay put and fantastic price. Made with a rubber material, a full box of these will last around 4-6 months, assuming your cat has a few accidents or gets a little fidgety (common with first-timers). 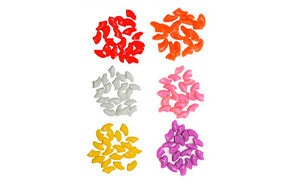 They also come in a range of colors, so you can be as quiet or loud as you like with your choice of nail covers. Durable yet malleable, the VICTHY nail caps for cats are a great option for those who aren’t sure about the size and placement of their new additions. They’ve passed pretty much every test going, including those regarding safety and can confirm they’re completely non-toxic, for those cats who are likely to try and bite their new nails off. They’re also easy to adjust- so, if you’re starting out with a younger kitten (from 12 weeks onwards), it’s easy to chop the covers to size. The best part, however, is that you don’t need to trim your cat’s claws before applying these- they’re designed to fit around their natural claw! Bright and beautiful, these claw covers are probably the top pick for those who love to add a little color into their lives, all the while remaining completely safe for your pet to use, lick and accidently swallow to their hearts content (within reason, of course)! The fast-drying glue also helps to resolve any awkward moments after application, meaning your kitty can be kitted out with much less stress. Another claw cap that is so easy to adjust- simply cut the open end down to size to meet your cat’s needs. These come in a range of vibrant colors that work brilliantly- which buyers can attest to, with 5-stars aplenty, and many a positive review. They can easily turn a scratchy cat into an adorable kitty, with many users noting how their cats had no qualms about their new additions. JOYJULY are so confident in their product that they even offer a replacement or refund guarantee, within 30 days. Completely non-toxic and safe to use, the Brostown option of cat claw covers are loved by over 500 customers on Amazon alone. Many cat owners mention that even the more excitable cat hasn’t been able to dislodge their new claws- and with this being a bulk buy, it’s unlikely you’ll need to purchase these regularly, meaning these claw caps provide excellent value for money. Many buyers have even noted their great quality when compared to higher-priced equivalents, too- so you can be sure you’ll be satisfied with the longevity, as well as the price. With a rubber material, the Smarthing claw caps come with an ultra-strong glue. This is completely safe for cats to use and is non-toxic, even if swallowed. Of course, the glue comes with its own set of issues- be sure not to overfill the cap, or it’ll likely cause some issues with your cat fur and skin getting a little stuck. Other than that, customers are keen to mention how easily their cats accepted their claw covers and how quickly they managed to pop them on. Made from a vinyl-resin, the Johomoon’s option of claw covers are tougher than most others on our list, making them less likely to allow for wear and tear. This is great for established users, with cats who aren’t likely to fuss and are used to some of the effects claw covers has (namely the inability to climb as well as they could prior to their cat claw caps). Naturally, these are recommended for indoor cats only but are so quick and easy to use that we couldn’t not include them on our top 10. Another vinyl-resin option and again, only suitable for use with indoor cats. These are a fantastic option for those looking for a bright, colorful and simple to use. They also come in extra small, which is ideal for those with kittens, looking to train up their housecats with their claw covers as they grow older. A very glittery option and Ninery are so confident that you and your cats with love their claw covers that they even offer a 100% moneyback guarantee if you aren’t satisfied with your product. They’re also made with a silica gel and are therefore easy to trim down if you’re not quite happy with the fit. You’ll also only need a touch of the EU MSDS certified non-toxic glue, as this is another incredibly powerful adhesive. Our final entry to our top 10 is the glittery, sparkly cat caps from YMCCOOL. These guys pride themselves on customer service, with 24 hour help if you get stuck and a 100% money-back guarantee. Again, you’ll need to be careful with the glue, as it is very strong and can cause some irritation if used incorrectly- to avoid this, your best option is to use a little less and try to ensure it only reaches the tips of your cat’s claws. First and foremost, you’ll need to consider the right sizes for your kitty’s claws. Remember that all cats up to the age of 4 weeks are completely unable to retract their claws and covers shouldn’t be used during this time as they are gaining the ability to retract their claws. Generally speaking, it’s advisable to only start using kitten claw caps from around 12-16 weeks of age. There are also different sizes, depending on how big your cat is, naturally. 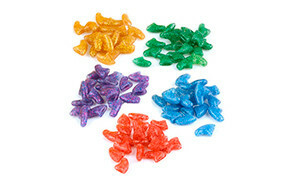 You’ll usually find that the seller of the cat claw caps will have a size chart since, similarly to human sizing, there may be variations related to the brand and producers. The main thing to consider when choosing your size is to ensure that the cover does not cover ANY of the skin, at the base of the claw. This can lead to infections and a very unhappy, unhealthy cat. The best cat nail covers will come in a material that isn’t harmful to cats- even if the caps are swallowed (you might find this happens frequently, when you first start applying cat claw covers, as they’ll naturally try to dislodge the attached caps). The material should be non-toxic and the glue used should also be inert, once set (and therefore chemically inactive), making them completely safe. One of the main things to consider, when using kitty caps, is the environment that your cat will be surrounded by. For instance, if your cat lives in a neighborhood that has a lot of other, territorial cats it might be best to consider not using cat caps at all. This is purely due to the fact that your cat may need their claws to defend themselves and chase away any aggressive felines in the area. The biggest benefit of using nail caps for cats is the lack of scratching- whether that be you, furniture or other animals. Of course, technically they are still scratching- it’s just that the cat nails covers are stopping them from gaining any purchase and tearing at their chosen subject. If you live in a rural area (or even an urban one, depending on how messy it gets), it’s likely you’ll often wake up to find a lovely surprise from your favorite feline. A dead mouse! How thoughtful? Not very and, if we’re being honest with ourselves, this is definitely not our favorite part of owning a cat. Of course, if your cats’ claws are dulled a little through using kitten claw caps, then the likelihood of this ever becoming an issue dramatically reduces. It’s no secret that we’re not a big fan of declawing a cat. It’s essentially like taking off your toes and just as painful for your kitty. Also known as soft claws for cats, cat caps allow your cat to remain pain-free. It also has the added benefit of allowing puss to roam, stretch, scratch themselves and biff away any other cats who walk in their neighborhood. While claw covers are amazing for those who are truly struggling, they should only really be considered if you’re out of other options. If you’re not sure whether you’re quite there yet, try out these alternative methods to assuage your kitty’s need to claw. One of the most fundamental requirements for a cat, is having somewhere to run around, hide and climb. Cat trees give your cat to opportunity to do all of their favorite things, especially those with integrated scratching posts. They tend to be especially fond of higher places, where they can keep an eye on us mischievous humans and the general goings-on around them. Combine this with the appealing surface of the scratching post and you should have it made. Of course, cats are notoriously difficult and it’s possible that your cat will simply prefer the box that the cat tree came in. Cats can sometimes scratch when they get bored, the same way we stretch out and yawn a lot when we’re relaxing. Having some appealing cat toys around can help alleviate that boredom, as well as warming up their muscles, meaning they need to stretch and scratch less. Not only that, but you can use the toy to help them discover their cat posts and trees, as well as helping to associate it with positive, playful feelings. Just run a wand toy across the floor and having your cat chase it, and then drape the toy around the post as it moves. Your cat will instinctively jump on the new item and realize just how good it feels to dig their claws in! This is a more difficult method to get down and it can depend entirely on your cat’s response to the spray bottle- but if you’re using a quick spritz of water, whenever your cat begins to scratch, they’ll soon get the idea that this behavior is likely to create a feeling that they don’t like (getting sprayed with water). If you’re going to go ahead with spray bottle training, just remember to try and avoid your cat seeing you with the source of the water- you don’t want them to begin to distrust you. You should also stop immediately if your cat becomes distressed using this method. Spray bottles, however, aren’t only good for water. Another good trick is to fill your spray bottle with a lemon or lime scented water and spray this around the areas you want your cat to stop scratching. Cats have a natural aversion to citrus scents and are more likely to avoid the area- and therefore stop scratching your favorite furniture. The first and possibly biggest hurdle when it comes to applying soft paws for cats is having your cat become used to you handling their feet and claws. Like many of us humans, cats aren’t too keen on having their feet handled, especially as they don’t know what’s going on or what you’re trying to accomplish. Spend a few days before applying nail caps playing with your kitty’s feet, so they can get used to the sensation of having their paws played with. Once they’re comfortable, you can move on to trimming your cats’ nails. You won’t need to get the whole thing cut, but just enough so that the caps fit well. Then, fill your cap up to around 1/3 of its capacity with adhesive and gently squeeze the cap, so the nail glue spreads evenly across the inside of the cap. The next bit will be the most difficult but most important. Press your cat’s paw at the based of their claw, so the full claw is extended out. Then slide on your cat claw cover, being careful not to get too close to their skin, at the base of the claw. This bit’s important. If you go too far down the claw, the cap will be uncomfortable for them, digging in to the skin and causing secondary issues such as infection. If you’re unsure, it’s better for them to be a little bit too far out than too close. Keep an eye on your cat for a while after you’ve applied kitty’s nail covers. Play around with them for a bit or let them have some food, to make sure they’re not trying to lick at their paws or very uncomfortable. Some initial confusion is fine, but this is the time when the covers are most likely to come off and get mistakenly swallowed. 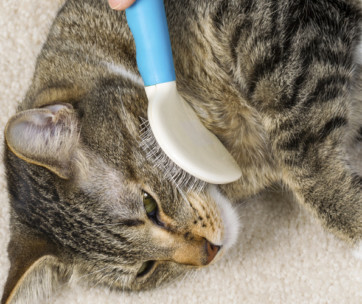 After this, your cat should be good to go! Q: What are cat nail caps? A: Cat nail covers are a safer alternative to declawing, that allow a cat to remain active in and around the house without damaging furniture or getting into mischief. They are made from plastic, rubber or silicone and, when applied correctly, cause no harm to your cat. Claw caps come in a range of colors and, for this reason, some people believe that they are commonly used as a fashion accessory for cats. Of course, responsible cat owners know that cats are not a fashion accessory and only use claw covers when they have tried and tested other ways and means of avoiding serious clawing problems. They’re usually applied with an adhesive, which should be non-toxic to cats. Cheaper variants may skip out on this part, so it’s important to check out alternatives until you find the right brand and design for you and your cat. Q: How long do they last, and how often do they need to be reapplied? A: Depending on how fast your cat’s nails grow, soft paws can last between 4-6 weeks on average. Of course, this is not an exact science and you’ll likely find there are some growing pains when you first start, too. A cat who is very excitable and active may find that the claw covers will come off in just over 2 weeks, while a laid-back cat who isn’t too fussed about their new additions may pass just over the 6-week mark. Q: Can cats get infections from nail caps like humans can from acrylic nails? A: In the same way that humans get infections from improper practice of fitting acrylic nails, cats can indeed get infections from nail caps, when applied improperly. 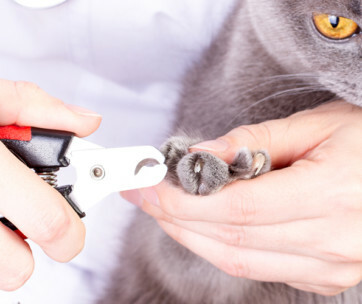 The main things to remember in order to avoid this are to get the right size cat nail covers for your kitty, trim your cat’s claws a touch before applying the covers and be sure not to apply the caps too close to your cats’ skin, allowing them to retract once applied. If you think your cat has had their caps put on incorrectly, or you’re concerned that they have an infection, make an appointment to see your local vet. They’ll be able to see what went wrong and resolve the issue with as little discomfort to your cat as possible. You’ll also have to avoid reapplying cat claw covers again, until the area is fully-healed and you’re confident with using the caps again. Q: Should nail caps only be used on indoor cats? A: Since cats need their claws to defend themselves against other cats or predators, and the caps make their claws dull and therefore ineffective against these potentially harmful animals, it is generally not advised to use nail caps on cats that spend the majority of time outdoors. Like all things, however, it depends entirely on the individual circumstances of your home. If you live in a rural area, where there is less likely to be an issue with these dangers, then using cat caps is possible. That said, cats in rural areas tend to be able to drift a little farther and dull their claws naturally, so there’s less need for claw covers in these situations. Q: Can cats still retract their claws while wearing nail caps? A: When applied correctly, using a good quality claw cover that is the right size for your cat, your puss should have no problems retracting their claws when using claw covers. This is because the claw itself never retracts fully into the skin, but actually simply retracts to the point that their fur covers most of the claw, with the skin only being utilized a little. The tips of the cat’s claws are also almost transparent, so it’s difficult to see the full length of your cat’s claws without them being fully expanded. This is why it’s so important to trim the claws before applying a cover, since this will give you a more certain measurement of the full length of the claw. 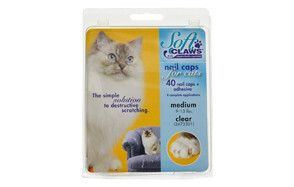 The Soft Claws Feline Nail Caps hits our top spot, thanks to its excellent value for money and years of delivering a quality experience to thousands of happy cat owners. 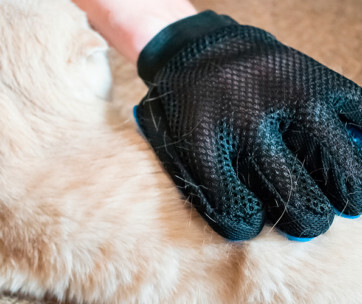 Soft Claws is one of the best-known names in the business and for good reason- they know how to make safe, environmentally friendly cat claw covers that fit like a glove. Their no-fuss adhesive and simple-to-use claw caps mean that, whether you’re an old pro or a compete beginner, you can help your cat stop scratching with minimal fuss or fretting. The gentle ridges that are built in to the inside of the claw covers mean you’re less likely to have issues with the caps setting in the right place, as the glue dries, too. They also come at an amazing price- especially when their longevity is taken into consideration. With each pack lasting around 6 months or more, you can be sure that you’ll be satisfied with the quality of your kittens’ claw covers. Best of all, your cat will be just as happy as you are with their new accessory, since they’ll be comfortable and stress-free, too!